The VCF West 2017 show was back in August on the the tenth and eleventh, took a while to post this ehh? 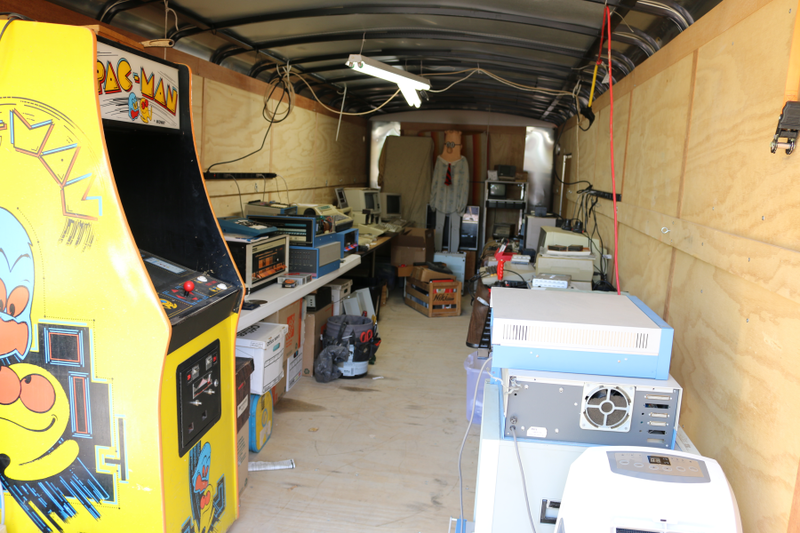 Last year at VCF West 2016 I attended and volunteered working in the consignment room. 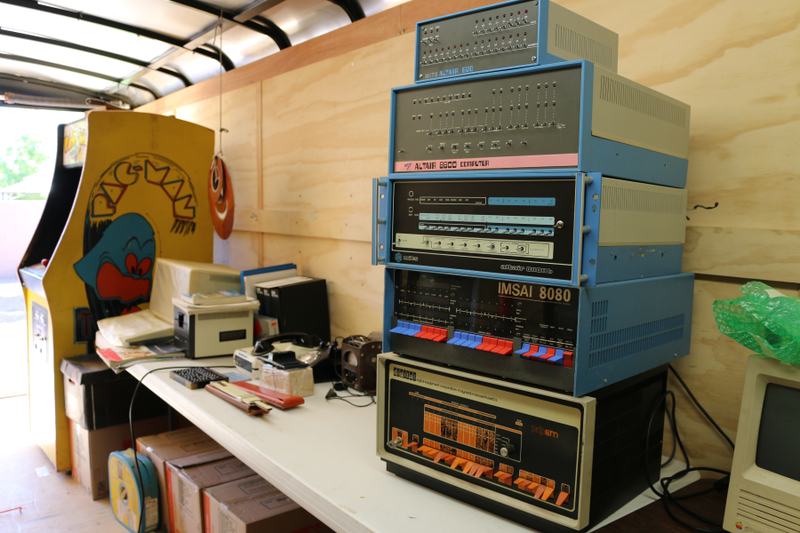 This year I exhibited several of the S-100 buss computers from my collection. 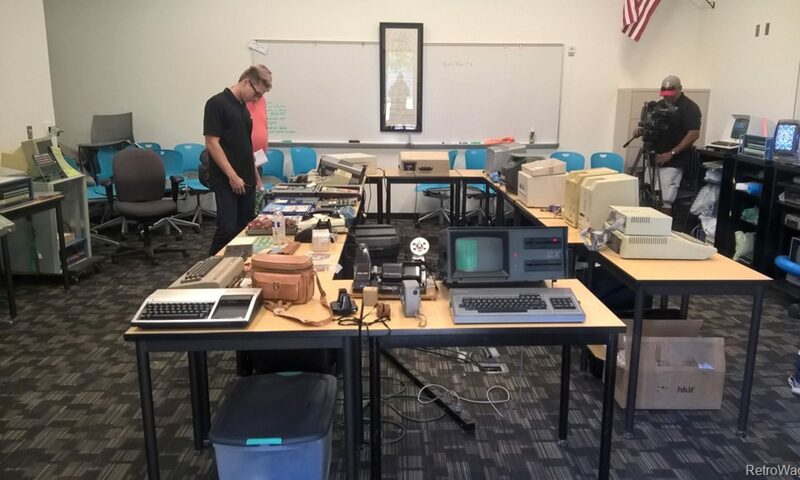 The Retro Wagon collection made it’s first public appearance this past Saturday Eight October 2016 at Desert Code Camp 2016 at the Chandler-Gilbert Community College. 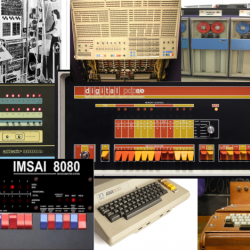 I’ve got a few Altair 8800 computers. One a 8800 kit that my father never completed before moving on to Imsai and other systems – most of my experience back in the day started with his Imsai, a California Computer Systems and CompuPro equipment that I purchased. The other Altair system is a 8800b Persi era that I purchased off of eBay. Neither of these have a serial I/O card. I want a serial card so I can experiment with my newly acquired FDC+ Enhanced Floppy Disk Controller for the Altair 8800 from Mike Douglas. I’ll be able to emulate a disk loading cp/m from a serial port. The board will also be helpful when I attempt to create a floppy boot disk for this fairly complete Altair 8800b. 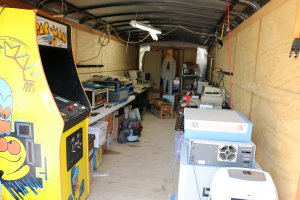 The Retro Wagon is a mobile exhibit consisting of mostly vintage computers from the dawn of the personal computer affordable for folks at home. There’s also some prehistory I thought would be fun like an Abacus and a slide rule.